le chaudron de vulcain – February 14 , 2017. EN. Piton de la Fournaise , Bogoslof , Turrialba , Sinabung , Sabancaya . February 14 , 2017. EN. Piton de la Fournaise , Bogoslof , Turrialba , Sinabung , Sabancaya . Home / Alaska / February 14 , 2017. EN. Piton de la Fournaise , Bogoslof , Turrialba , Sinabung , Sabancaya . The eruption begun on January 31, 2017 at 7:40 pm local time continues. The volcanic tremor (indicator of surface eruptive intensity) remains at a high intensity level (Figure 1). 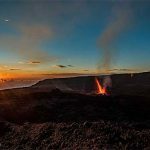 – No seismicity was recorded during the day under the summit of Piton de la Fournaise. – No significant deformation has been observed in the last few days. 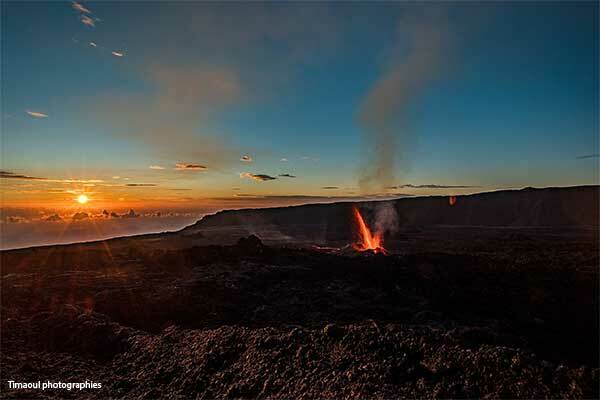 Patrice Huet, scientific director at the Cité du Volcan, gave an interview in Imazpress about the size of the new cone: about thirty meters high, 8 meters thick and 8 million cubic meters. 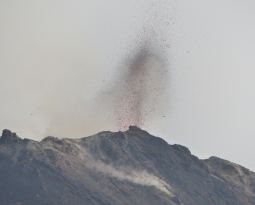 A significant explosive eruption began at Bogoslof volcano at about 16:24 UTC on February 13 (07:24 AKST on February 13) as indicated in seismic data. Although at this time there has been no lightning detected, nor satellite images received to confirm eruptive activity, the intensity of seismicity strongly suggests that significant ash emissions have occurred. Thus, AVO is raising the Aviation Color Code to RED and Alert level to WARNING. Strong seismic activity at Bogoslof this morning from about 16:24 to 17:32 UTC (07:24 to 08:32 AKST) was detected on stations from nearby islands. Similar seismic activity has been associated with explosive eruptions that produced significant ash clouds from the volcano. Thus, AVO raised the Aviation Color Code to RED and Alert level to WARNING for Bogoslof volcano. However, satellite data through 18:30 UTC (09:30 AKST) show no volcanic cloud visible about the weather cloud tops of about 10,000 ft asl. There were also no lightning strokes detected during this morning’s activity. We therefore conclude that, despite the intensity of seismic activity, a significant volcanic cloud was not produced during this event. We are thus lowering the Aviation Color Code to ORANGE and the Alert Level to WATCH. 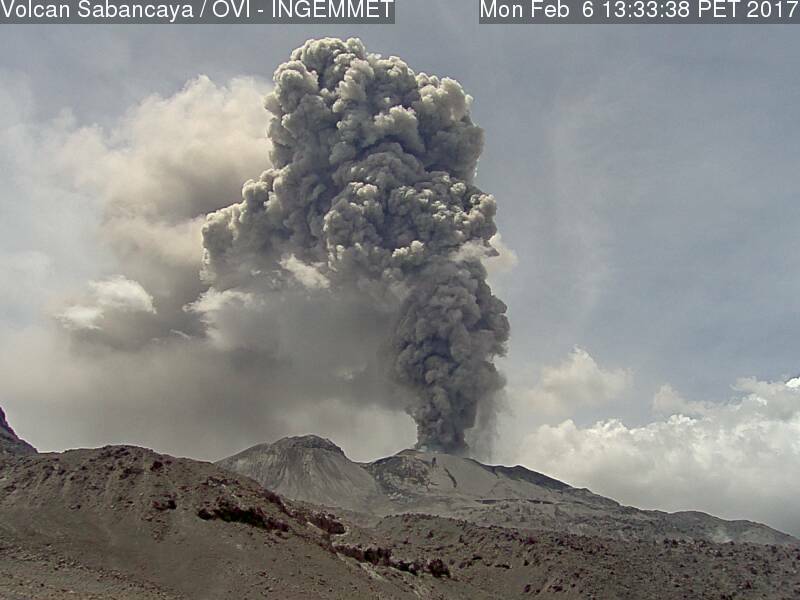 Ash emissions to lower altitudes, as well as other eruptive activity, likely did occur during this morning’s event, and conditions at the volcano remain unstable. Additional explosive activity could occur at any time, with little or no advance warning. Turrialba Volcano Spews ‘Juvenile Rocks’. 12 FEBRUARY 2017. The Turrialba volcano on Saturday spewed newly erupted material that is being delivered to the surface for the first time – called juvenile rocks, in a small eruption at about 7:12pm. According to the volcanologist, Marino Protti, of the Volcanological and Seismological Observatory of Costa Rica (Ovsicori), the cameras the institution has near the crater of the colossus confirmed the rocks to be up to one meter in diameter and taking more than three minutes to cool down. Old material cools as it lands, but the juvenile takes longer, which is what led the experts to conclude the material of last night was of the second kind. Although it is known since November this type of material has been coming out, last night the clearness of the top of the volcano allowed photos of the phenomenon. Protti added that there is no imminent danger, but plumes of ash, which have recently subsided, can reappear at any time. 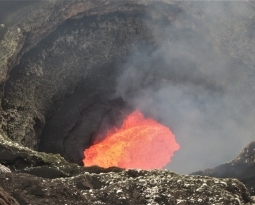 The volcanologist is reminding people not to climb the crater because, in addition to being prohibited, it is dangerous due to risk of hot gases and rocks spewing from the slopes. 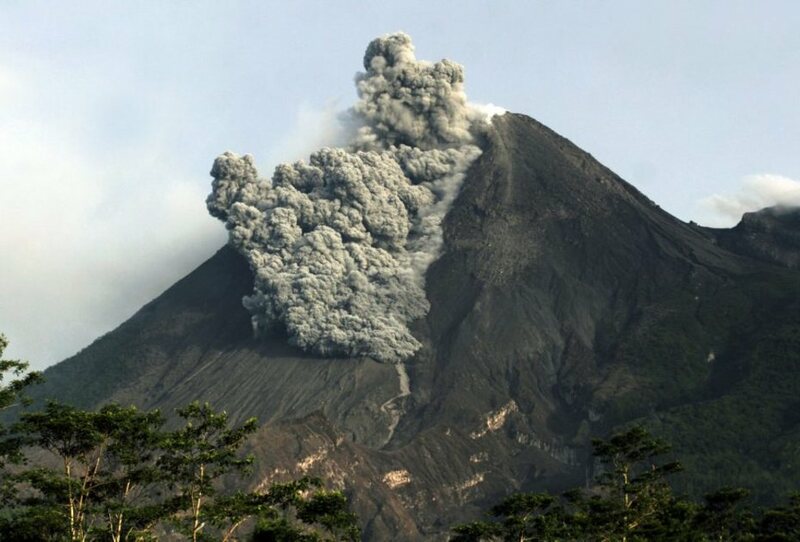 Mount Sinabung, the rumbling Indonesian volcano in fresh eruption, spews smoke and ash . 12 FEBRUARY 2017. A rumbling volcano on Indonesia’s Sumatra island spewed clouds of smoke and ash high into the air Friday, the latest in a series of violent eruptions. Huge columns of smoke hung over Mount Sinabung and the surrounding area, including an elementary school where children played in the shadow of the towering volcanic cloud. Activity levels have increased in the past week, with Sinabung shooting hot ash clouds into the sky dozens of times, according to the local volcano monitoring agency. 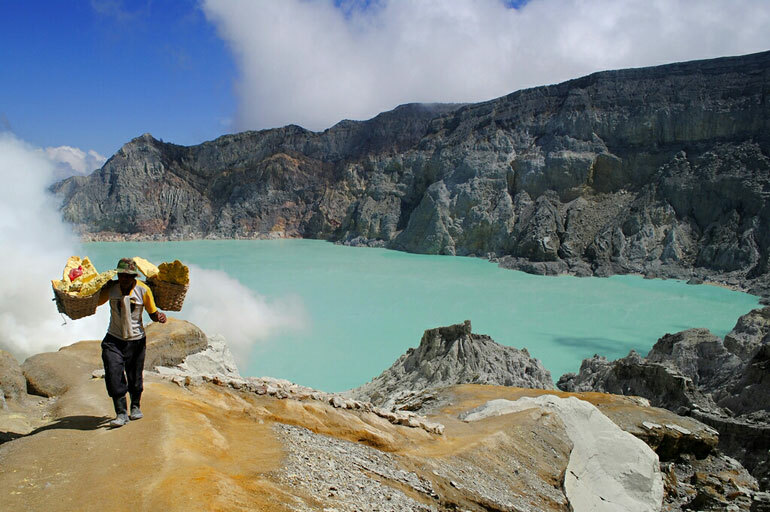 Despite the eruptions, local villagers continue their precarious existence. The children were playing at a school in Neman Teran district, although officials say it is safe as the site is outside a four-kilometre (2.5-mile) danger zone around the craterwhere no one is supposed to set foot. « It’s safe for the school to be used, » insisted local disaster agency chief Nata Nail. Farmers continue tending to their crops and people in local towns put on masks to go shopping as ash rains down from the sky. Sinabung roared back to life in 2010 for the first time in 400 years. After another period of inactivity it erupted once more in 2013, and has remained highly active since. During the week, there was an average of 23 explosions per day, with reduced maximum displacement values (DR) of 77 cm2 (Maj Reducido – DR: area moved by earthquakes in the source). • Eruptive ash and gas columns reached about 3000 meters above the crater edge and then spread over more than 40 kilometers in a south, north-west and south-east direction of the volcano. The tendency of deformation is weak and negative. The volcanic gas flow (SO2) reached a maximum of 2360 tons / day on 01 February. 8 thermal anomalies were detected, with values between 1 and 31 MW of GRV (Radiated Volcanic Power). Overall volcanic activity has decreased slightly since last week. 14/02/2017. FR . Piton de la Fournaise , Bogoslof , Turrialba , Sinabung , Sabancaya. 15/02/2017. FR. 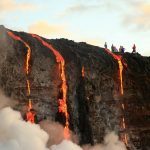 Piton de la Fournaise , Kilauea , Pacaya , Kanlaon .